Sub 10-60, Low Bass Subwoofer - amazingly compact. Bass driver with a very strong magnet and a very stiff and rigid cone, ensuring a controlled oscillation. A unique low bass control is added. 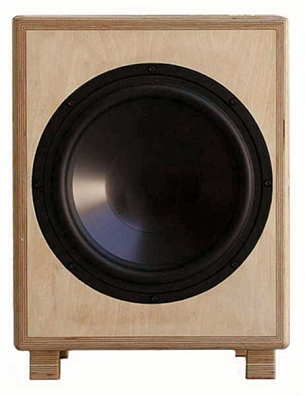 The subwoofer is then combined with an amplification module with high power output. 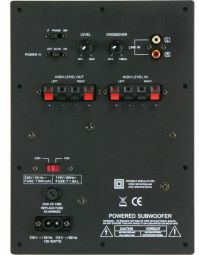 The Mivoc AM 80, amplifier module is located at the rear of the cabinet.